Welcome to the Modular Corner! This site is intended as a resource for all users of the Pulsar / Scope Modular synth, a software synthesizer which comes with the Scope range of soundcards from Sonic Core (formerly Creamware). Here you will find information about the Modular Synth, it's various components, the many patches that are available for the Synth along with other related documents and links to do with all things Modular. On the Patches page, you will find information about individual patches that have been created for the Modular. This aims to be a complete listing of all the Modular patches that have become available, with a brief description of the patch. Where possible this will include a more detailed description, mp3 examples, signal flow diagrams, etc, in order to build up a more comprehensive 'manual' for the many patches that are available. The downloads page has other related resources, such as freeware modules, documents on modular synthesis, etc. Your contributions are vital - If you made a patch that you're proud of, or if you've downloaded someone else's that you like - let me know. I can't write up every patch on my own. Send your comments, suggestions, samples, etc. 28 Apr 2012 faxinadu new M2 patch Faxi Centurion Filterbank to PlanetZ. Sherman Filterbank clone. 21 Mar 2012 faxinadu posts a new pack containing 100 new patches: United Faxi Planets Modular Pack to his site. A huge collection of synths, effects and utilities. 18 Mar 2012 XITE-1/4LIVE posts four new MIV patches -MOD 4 2 LFO MIDI to PlanetZ. at0m's Modular Patch Extended x 4. 18 Mar 2012 XITE-1/4LIVE posts four new MIV patches 001, CMW Wavetables, LFO2Midi, Waves to PlanetZ. Waldorf Simplicity Fun. 12 Mar 2012 XITE-1/4LIVE posts new MIV patch Multi Filter Dual LFO to PlanetZ. Synth patch using two Oscillators and two pattern LFO's. 04 Feb 2012 earth posts new module 909 kick on PlanetZ. More details here. 10 Jan 2012 Sonic Core announce SCOPE 6.0 and OPEN Scope! 05 Jan 2012 XITE-1/4LIVE posts new MIV patch 001 to PlanetZ. Multi-Osc synth patch using the G.O.S.T. Saw effect as an insert. 02 Jan 2012 XITE-1/4LIVE posts new MIV patch Polaris X-Y II to PlanetZ. 6 oscillator Synth patch using 2 x PWM detuned, 2 x Saw detuned, Sine Wave Center, and Waldorf. 29 Dec 2012 XITE-1/4LIVE posts a fixed version of the AHD Loop EG and a new MIV patch AHD Looped Wavetables which uses this module to PlanetZ. 21 Dec 2011 XITE-1/4LIVE posts new MIV patch DYNOMIC SAW DETUNER to PlanetZ. Synth patch using 5 Saw Oscs and the G.O.S.T. Dynomic effect as an insert. 21 Dec 2011 XITE-1/4LIVE posts new MIV patch POLARIS X-Y to PlanetZ. Synth patch using CZ Oscillators, and RCAIA's Waldorf/Morph Oscillator. 28 Jul 2011 Chris Werner posts new MIV patch GhostInMyModular to PlanetZ. Evolving patch using the Roessler attractor, the Flux OSC and the Terrain select. 18 May 2011 Roy Thinnes posts new MIV patch KSModIV to PlanetZ. Physical Modelling patch using Karplus-Strong principles. 12 May 2011 Modular Synth Patch Archive launched. 11 May 2011 Roy Thinnes posts new MIV patch NoisyExperience to PlanetZ. Originally sent to Sonic Core for the Mod IV patch contest, this is now one of the mod IV factory patches. 10 May 2011 XITE-1/4LIVE posts new MIV patch SWAY MONO A to PlanetZ. Example of integration of Sonic Core Modular with Expert Sleepers Silentway Control Software. 09 May 2011 sonic Core upload 58 Mod IV patches and a revised Mod IV manual. 24 Apr 2011 wouterz posts new 7 new MIV patches to his site(SlicePlayer3, GlitchBox2, RampGenerator, RetriggerDrumLoop, AmbientGlitch, AutomataDrums, PsychoDelay) along with 2 example projects and some demonstration videos. 14 March 2011 Dante uploads new MIV patch Pad Machine IV to Hitfoundry.com. Pad patch developed by Dante and JAV to illustrate Mod IV article in March issue of Scoperise magazine. 13 Apr 2011 Roy Thinnes announces his new Patch Listing page. c. 700 patches listed and categorised. 13 Mar 2011 XITE-1/4LIVE posts new MIV patch 001 ARPEGGIATOR to PlanetZ. A Scale Maker patch. 02 Feb 2011 XITE-1/4LIVE posts new MIV patch WT SYNORG to PlanetZ. A Sci-Fi Combo Organ. 03 Jan 2011 widy posts new 2 in 2 out modular shell to PlanetZ. 07 Nov 2010 XITE-1/4LIVE posts new MIV patch Modular P1-Osc to PlanetZ. 02 Nov 2010 XITE-1/4LIVE posts new MIV patch WaveTable Set to PlanetZ. Basic Wavetable + Waldorf combination with displays for waveform selections. 26 Oct 2010 XITE-1/4LIVE posts new MIV patch Live Synth to PlanetZ. 18 Sep 2010 alfonso posts new MIV patch Guitar Rig to PlanetZ. 07 Jul 2010 XITE-1/4LIVE posts new MII patch Roland D70 4 Modular II to PlanetZ. 06 Jul 2010 XITE-1/4LIVE posts new MIV patch 4 Partial Synth to PlanetZ. 01 Jul 2010 at0m posts new MIII/Flexor patch Leslie M3 to PlanetZ. 24 Jun 2010 XITE-1/4LIVE posts new MII patch Modular 2/3 & 4 + Cwm DuoOsc to PlanetZ. 19 Jun 2010 w_ellis posts new MII patch Simple Vocal Filter Delay to PlanetZ. 18 Jun 2010 w_ellis posts new MII patch FM Filter Bass Gen to PlanetZ. 12 Jun 2010 modularsynth.co.uk is 10 years old! 08 Jun 2010 XITE-1/4LIVE posts new MIV patch WAVEMOD (wavetable synth) to PlanetZ. 08 Jun 2010 XITE-1/4LIVE posts new MIV patch MORPHADITE (using new cwmodular oscillator) to PlanetZ. 04 Jun 2010 cwmodular posts new modules sawPwStecki and duoOscCwm. More details here. 02 Jun 2010 JLS posts new MIII patch SMD (Self Melodic Drone) to PlanetZ. 01 Jun 2010 at0m posts new MIII / Flexor patch swing machine (applies 'swing' to any incoming audio) to PlanetZ. 04 Jun 2010 cwmodular posts new modules constVal+Freq, EQ4 PSw, FilterBankCwm, 12dB and 24dB, Delay8000M, x^2to10. More details here. 30 May 2010 XITE-1/4LIVE posts new MIV patch KATANO SYNTH to PlanetZ. 30 May 2010 XITE-1/4LIVE posts new MIV patch ARP ODYSSEY to PlanetZ. 18 May 2010 XITE-1/4LIVE posts new MIII patch WAVES (Waldorf Wavetable based patch) to PlanetZ. 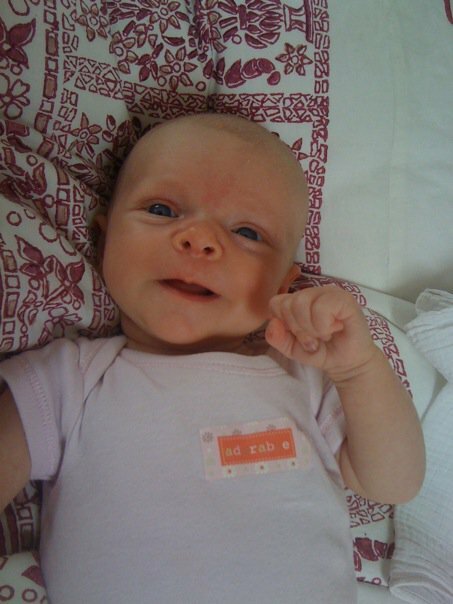 28 Apr 2010 Chiara Beate Giovanna Walker is born. 27 Apr 2010 widy posts new MIII patch destroyer (a simple bass synth) to PlanetZ. 23 Apr 2010 XITE-1/4LIVE posts new MIII patch LiveSynth (based around ARP Odyssey) to PlanetZ. A ModIV version is available here. 13 Apr 2010 JLS posts new MIII patch 4NMN (new modified neural network patch) to PlanetZ. 10 Apr 2010 JLS posts new MIII patch Brain Relaxer (simple randomless and relaxing patch) to PlanetZ. 07 Apr 2010 modularman posts new MIII patch Notchy LFO YT to PlanetZ. 07 Apr 2010 JLS posts new MIII patch S4NN (self generate four node network) to PlanetZ. 01 Apr 2010 JLS posts new MIII patch T4NN (Triggered 4x Node Net) to PlanetZ. Uses new CWModular modules from previous entry. 30 Mar 2010 JLS posts new MIII patch PRG (Psycho Random Groove) to PlanetZ. 29 Mar 2010 JLS posts new MIII patch SRG (Semi Random Groove) to PlanetZ. Uses new CWModular modules from previous entry. 26 Mar 2010 cwmodular posts new modules BassSynModul, valSw834, valMat8x4R and valMat8x4RF and improves other modules. More details here. 13 Feb 2010 cwmodular site updated with details on ModIV here and here. 04 Feb 2010 irrelevance posts 2 new patches TB exponential to PlanetZ. TB Synth. 27 Jan 2010 XITE-1/4LIVE posts new MIV patch PROGRAM CHANGER to PlanetZ. Send Program change messages from your midi keyboard. 22 Jan 2010 strav100 posts new MIV patch Three Meets Four to PlanetZ. Pad Synth. 15 Jan 2010 A series of online synthesis seminarsis announced by Red_MuZe. Read old news on the News Archive page.